I have so many posts that I need to catch up on, it’s ridiculous. 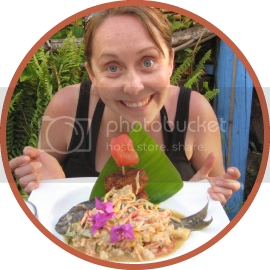 I made this dish awhile ago, and as always it was pretty darn tasty. And I always I made some substitutions from the original recipe and made it my own. 1. Combine the salt, pepper, paprika, and garlic. 2. Make a few cuts on the sides of the chicken. 3. Rub chicken with crushed garlic, paprika, salt & pepper. Let sit for 15 minutes. 5. 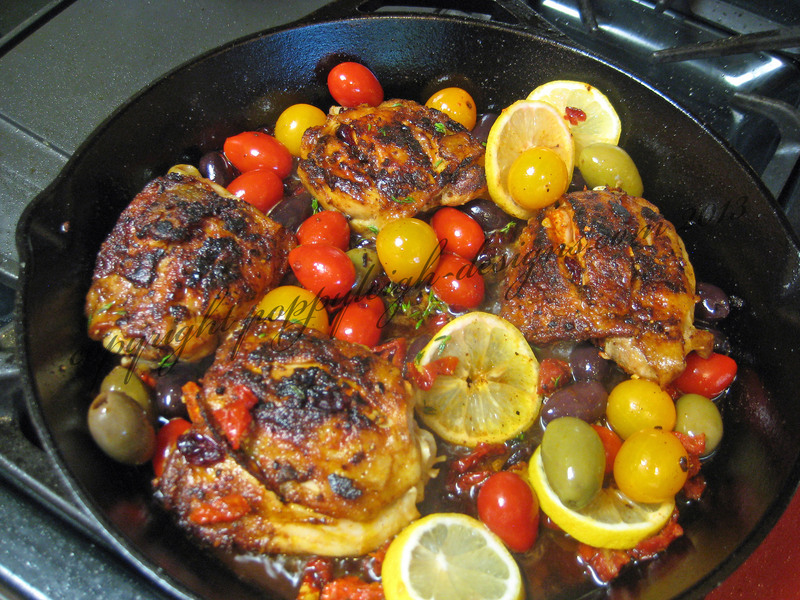 Heat the extra virgin olive oil in a cast iron pan on medium heat; cook chicken with skin side down and brown for about 10 minutes. Flip to cook the other side and cook for an additional 10 minutes. 6. Pour in the Marsala wine and turn up the heat to high until alcohol evaporates. 7. 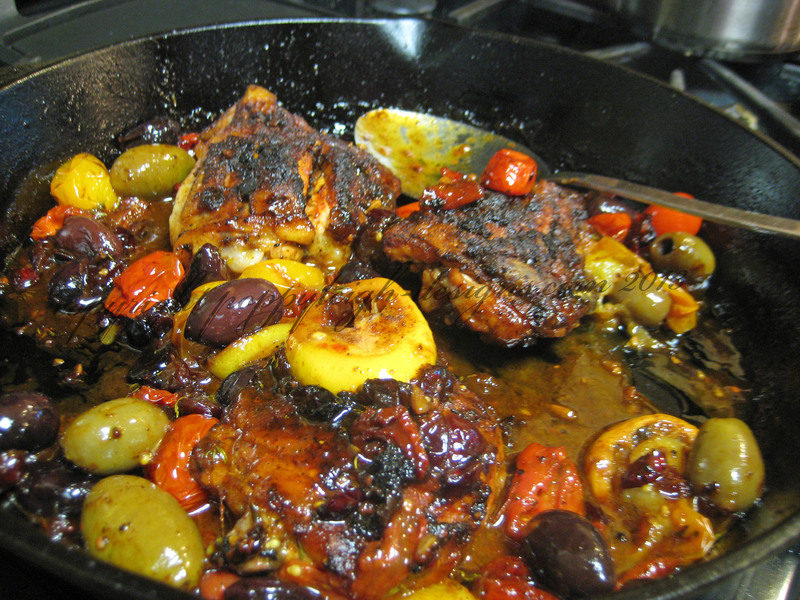 Add lemon slices, cherry tomatoes, sun-dried tomatoes, olives, cranberries and thyme. Reduce the heat to and simmer for 5 minutes. 8. Transfer pan to the pre-heated oven. Cook for 45 minutes or until chicken turns golden brown. 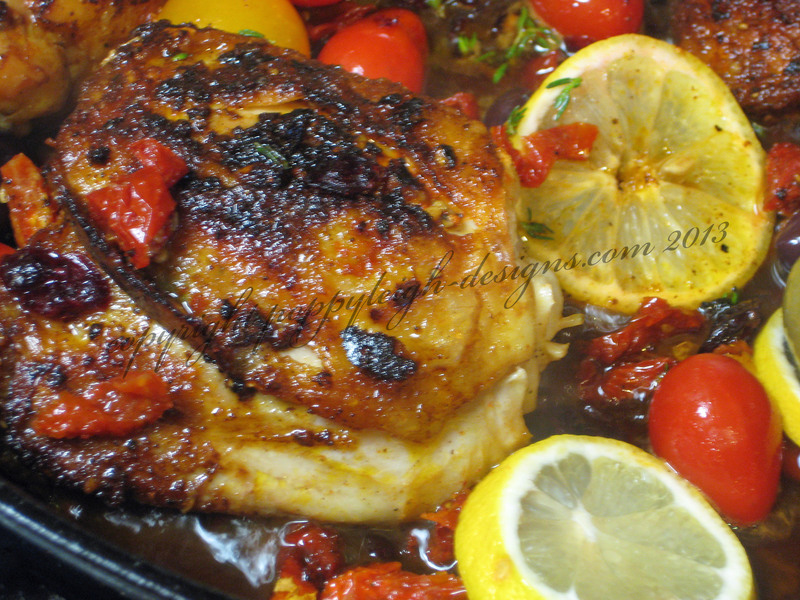 While cooking, baste the sauce over the chicken. 9. Serve with regular or Israeli couscous and garnish with fresh lemon slices.